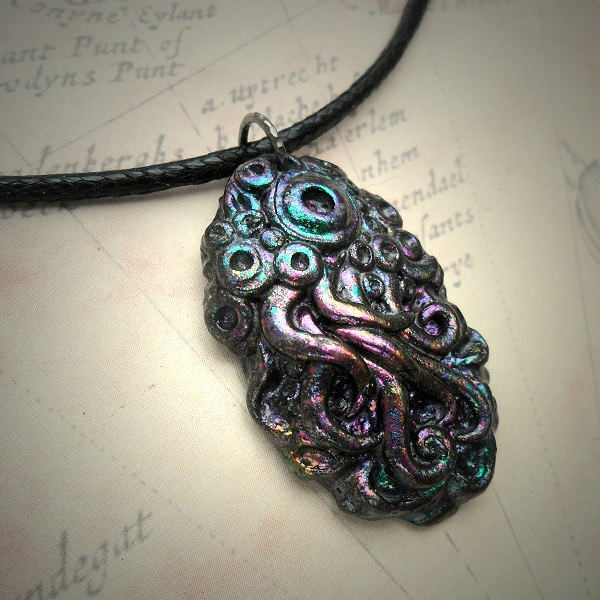 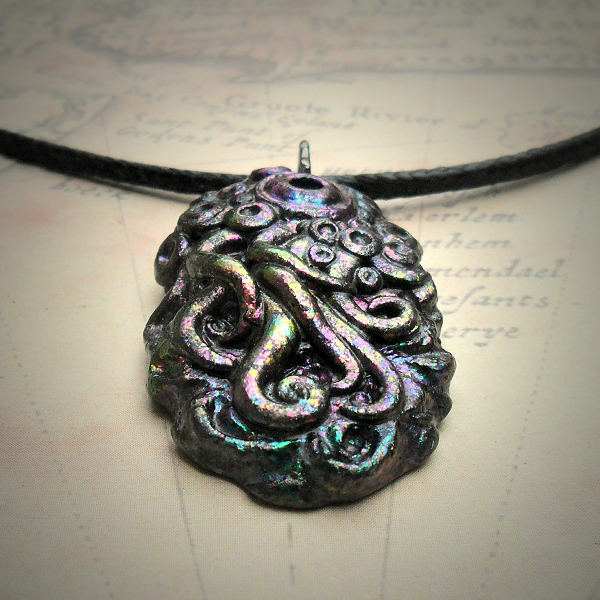 A hand crafted Shoggoth pendant with iridescent sheen. 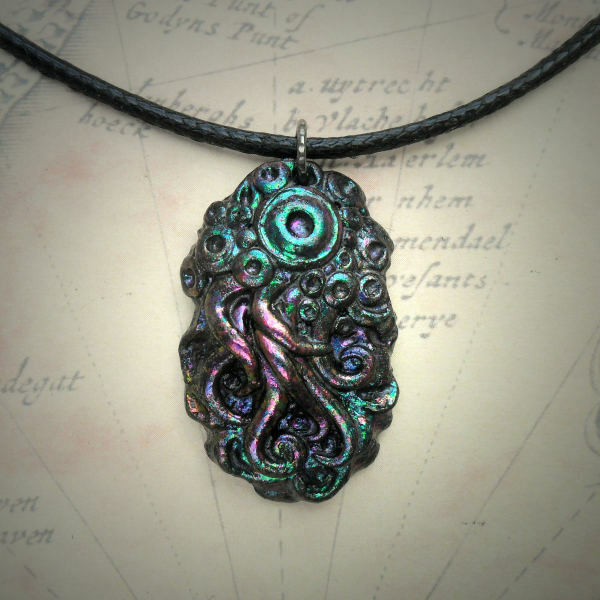 It comes on a black waxed cord with slip knots for length adjustment. 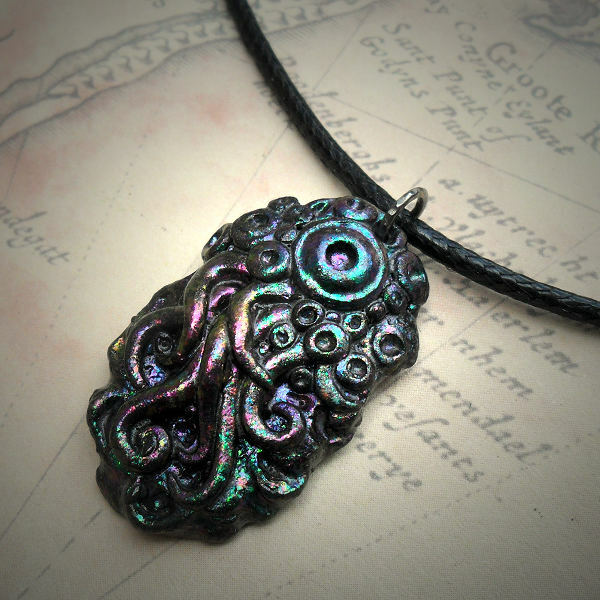 This is a hand made item, so the colours may very slightly to the photographs shown.